A previous print edition of "The Seahawk"
70 years ago, “The Seahawk” student newspaper launched on Sept. 27, 1948. A four-page mimeographed newspaper, the launch of “The Seahawk” became the first student publication for Wilmington College (later UNC Wilmington). Since then, it has paralleled the university in growth and evolution. 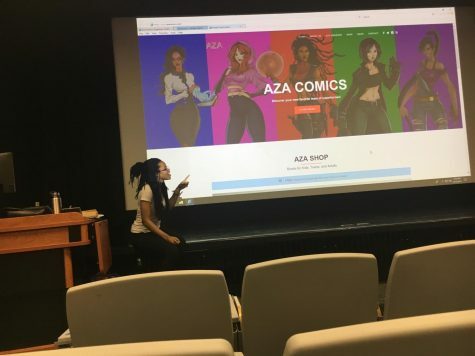 “We are proud and honored to be able to have published this small paper as the first ‘SEAHAWK,’ said the staffers in charge of the paper at the time. 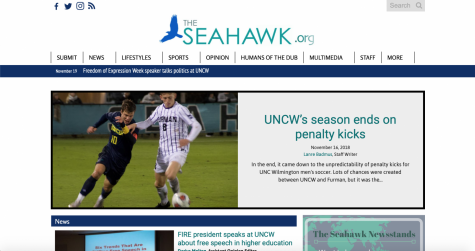 Ten years later, in 1958, “The Seahawk” produced their first monthly issue after a period of sporadic publication. 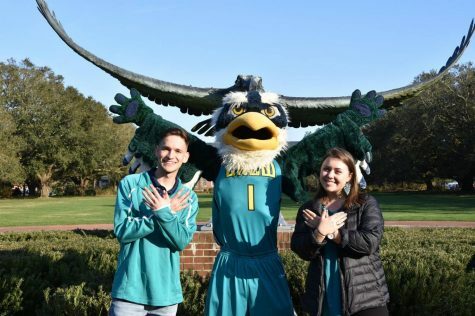 During the same year, control of the college was transferred from New Hanover County to the State Board of Higher Education, placing Wilmington College in the state’s university system, according to UNC Wilmington’s website. In 1968-1969, Wilmington College became the University of North Carolina at Wilmington. 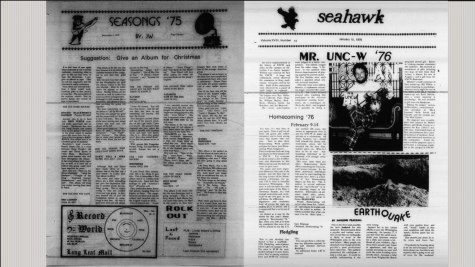 A few years later, “The Seahawk” continued to push strong well into the 1970s. 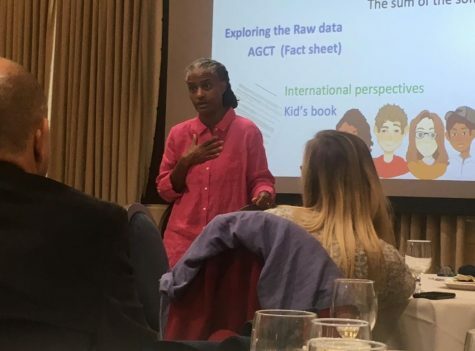 During this time period in the 1970s, Galloway, Belk, Morton and Hewlett halls were opened, “Atlantis” magazine was first published, the first female SGA president was elected (Karen Whaley), Trask Coliseum was completed and the master’s degree program in Education was first offered. 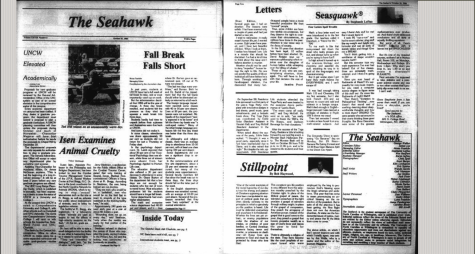 Fast forward to the 1980s, and upon first glance, content in “The Seahawk” mirrored that of a growing university. 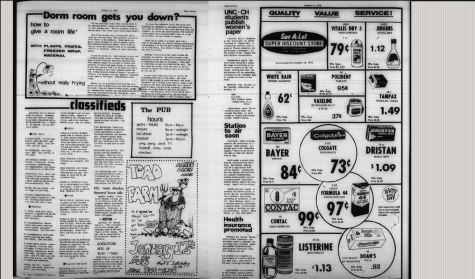 An article about the push for UNCW’s first radio station could be found in a September 1983 issue. 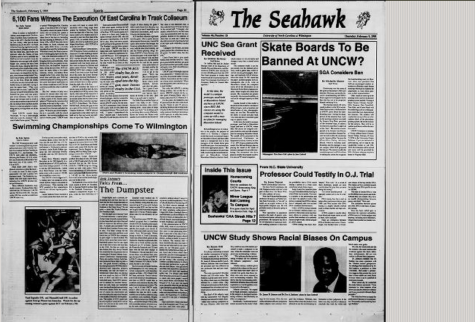 An article from 1984 details the efforts to elevate UNCW to a Comprehensive Level I school. 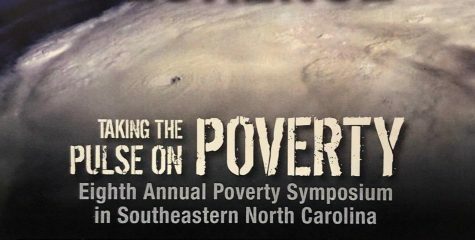 In 1985, the efforts succeeded and the Board of Governors voted to bring UNCW up to the top level. Movie reviews, the 1984 presidential election, the failure of student drinking abuse programs and tuition increases all filled the pages throughout the 1980s as UNCW’s MBA program began, the Social and Behavioral Sciences Building first opened and the school of business was renamed to the Cameron School of Business. 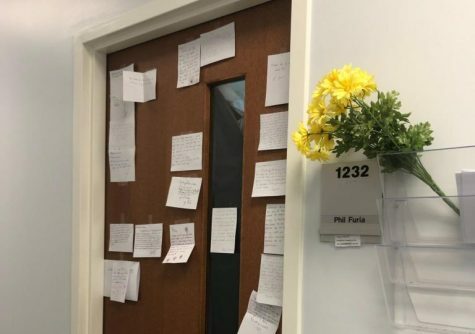 In the 1990s, articles detailed the “execution” of East Carolina University in basketball, the possible banning of skateboards, racial biases on campus, pride events and photography exhibitions. 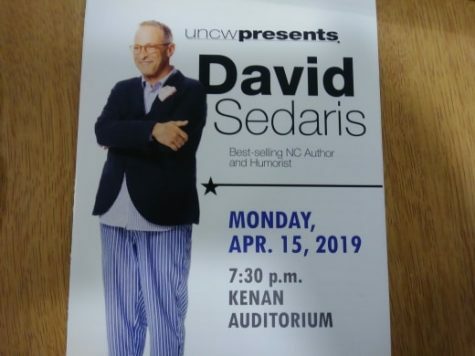 The changing demographics of UNCW were slowly becoming more apparent as the pages turned. 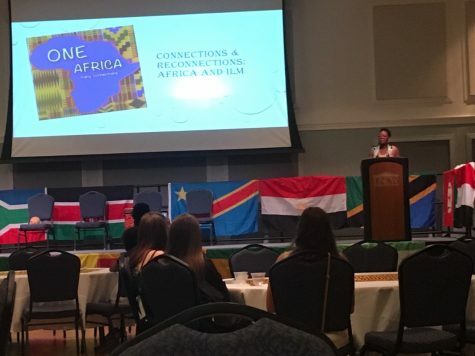 Meanwhile, the UNCW Onslow Extension Site had been completed and the Upperman African American Cultural Center first opened in Fisher University Union in 1995. 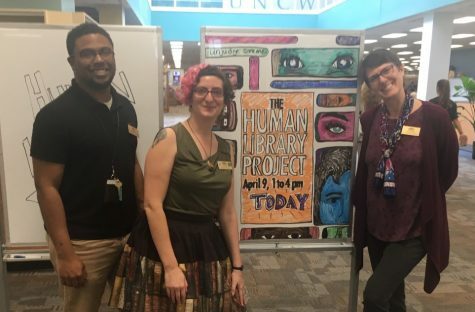 Since the 1990s, UNCW has grown to well over 15,000 students, they established their first doctoral program in 2002 with marine biology, opened Centro Hispano for Hispanic and Latino students, opened the Student Recreation Building, Cultural Arts Building, Education Building, McNeill Hall, the Teaching Laboratory, the Seahawk Village, Landing and Crossing and The Hub. 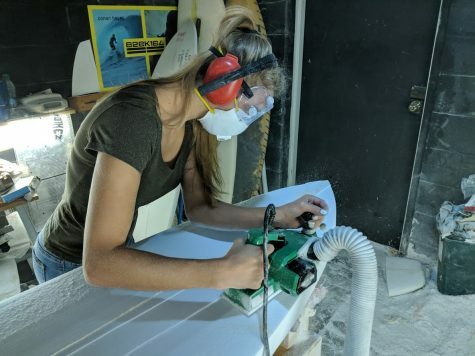 “The Seahawk” has persisted through these years as well, growing and expanding to an online presence, maintaining its focus on the news of both campus and the local area. News Editor Tyler Newman can be found on Twitter @tnewman39.